The StarTAC cell phone, introduced in 1996, wasn't merely the smallest and lightest mobile phone at the time -- it's small and light by today's standards, 15 years later. 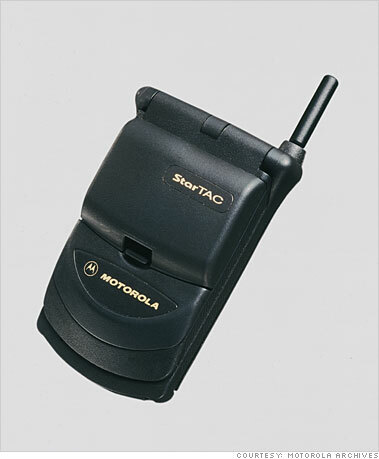 Marketed as the first "wearable" phone, the StarTAC weighed just 3.1 oz. ; the iPhone 4 weighs 4.8 oz. Granted, modern smartphones can do quite a bit more than the StarTAC. Today's mobile devices can become Wi-Fi hotspots, providing laptops with Internet speeds of up to 12 megabits per second (about the same as a home broadband line). The StarTAC could also be tethered to a laptop, providing up to 9.6 kilobits per second -- about 1/6 the speed of a 56k dial-up modem.